Becoming partly cloudy after some evening rain. Thunder possible. Low 48F. Winds NW at 10 to 15 mph. Chance of rain 100%.. Becoming partly cloudy after some evening rain. Thunder possible. Low 48F. Winds NW at 10 to 15 mph. Chance of rain 100%. 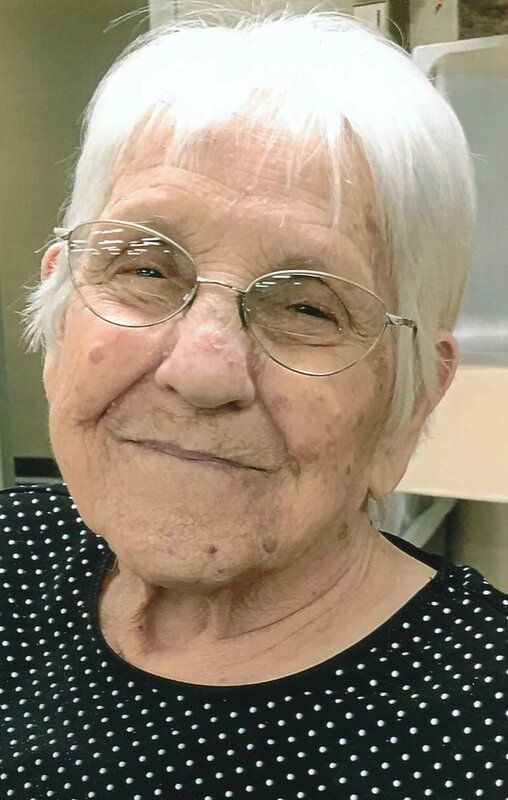 FARMINGTON -- Virginia Marie Rickus, 96, of Farmington passed away February 12, 2019, at Camelot Nursing & Rehab Center. She was born March 22, 1922, in Farmington. Virginia was a member of the Memorial United Methodist Church of Farmington. She was a wonderful cook and worked for the Farmington School District in the cafeteria from which she retired. She loved to read and watch the St. Louis Cardinals. She was preceded in death by her parents, Walter L. and Bertha Estella (Hoehn) Cleve; husband, Chester D. Rickus; two brothers, William “Bill” Cleve and Melvin Cleve; sister, Sylvia Larkin. Virginia is survived by three children, Mary Anna Klepzig and husband Howard, Glenn Rickus and wife Janet, Lana Dickey; seven grandchildren, Sherri Klepzig, Terri Klepzig, Laura (Steve) Bays, Lisa (Mike) Short, Cullen (Maureen) Dickey, Andrea Klepzig, Kelly (Corey) Cummings; eight great-grandchildren, Bryce Bays, Emma Johnson, Bret Bieser, Carson Short, Howard Grant Bramhall, Cullen Bramhall, Preston Dickey, Gavin Dickey; four sisters, Bettie Carleton, Barbara Cortor, Ruby Gifford, Carol Cleve; two brothers, Walter “Sonny” Cleve and wife Vicki and Ray Cleve and wife Nancy; special friend and caregiver, Sue Landers. Visitation will be held Friday, February 15, 2019, from 5 p.m. until 8 p.m. at the C.Z. Boyer & Son – Taylor Chapel in Farmington. Service will be held Saturday at 11 a.m. at the C.Z. 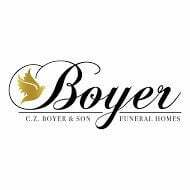 Boyer & Son – Taylor Chapel with Rev. Scott Hall officiating. Interment will follow at Hillview Memorial Gardens. Memorials may be made to the Memorial United Methodist Church or the American Cancer Society. View obituary and share condolences online at www.czboyer.com.